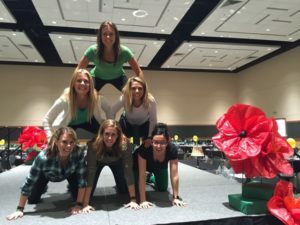 What makes a school auction a success? 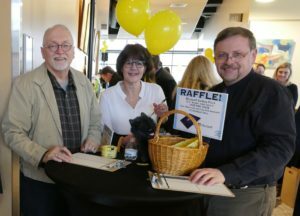 King’s Schools 34th Annual Auction was powered by hundreds of volunteers – moms, dads, grandparents, teachers, staff, alumni and community members. These wonderful people freely gave of their time, talents, skills and hearts to help King’s Schools’ largest fundraiser succeed. The hours “donated” are in the thousands – including some late night help too. Volunteering weaves us into a tight-knit, beautiful community. It helps new parents meet friends. Seasoned volunteers encourage new ones with stories of inspiration and near disasters of past. 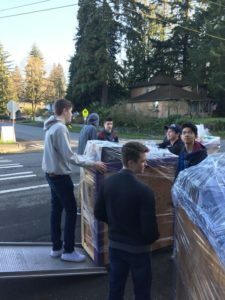 Students earn service hours as they experience our community working together outside of school. It has gone from being an auction with a plated dinner in Mike Martin Gym to being a very classy event at the Convention Center. I come back every year because it’s just fun and I love doing it. This year, it was really special to see the past auction chairs from years back. Moms who were here in the late 80’s and early 90’s. Those were the years when we had Chihuly glass that we auctioned off. It must be worth a fortune now! 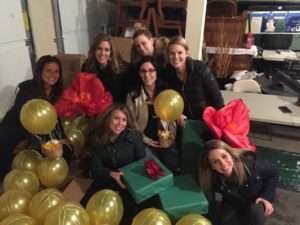 In addition to the amazing amount of money brought in (more than $570,000 this year), I think one of the real benefits of the auction is all those moms who are building community by working so many months all together. What a great way to get to know other moms and their families. I volunteer because I love to see our families past and present and to let them know how appreciated they are. I loved helping out with the auction! We are new to King’s this year and it was a great way to get involved and contribute immediately. 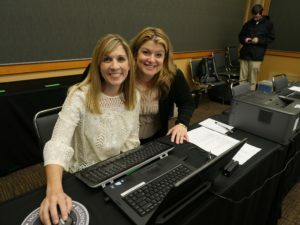 I helped do data entry, which not a lot of people enjoy doing, so I got to know (Auction Chairs) Lisa and Stephanie. I would absolutely help again! I have volunteered every year for a long time. It is on my calendar to help out, and I usually stay late to help with clean up. I love to meet so many parents and former students. Also, I enjoy working with wonderful students and fellow teachers and King’s parents. 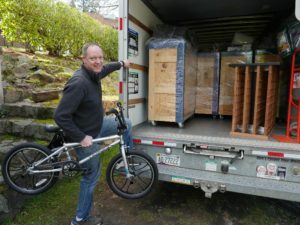 I have seen positive changes in how the auction is conducted in the area I help with (closing & making sure items are delivered to bid winners). The leadership team works to improve each year on procedures. It is a highlight of my school year to see the King’s family at work and play. This year one of my 7th grade students worked side by side with me and I saw his maturity and initiative and was so proud of him. Also, I had a wonderful conversation with a Christian gentleman (a King’s grandfather who introduced me to his extended family). What a blessing that was! 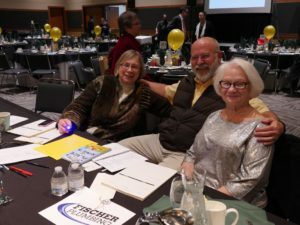 The auction is a time for me to connect with many members of the wonderful King’s extended family. My job at the King’s auction was to help close the silent auction tables when they were finished. I felt it was a good balance of work and fun. I met some new friends and got to work with Mr. Croutworst who is really cool. We worked a lot, but we also got breaks and food. I would volunteer again because I thought it was fun to work with other kids and help the school to earn community service hours. It was also neat to see how the auction works and hear the auctioneer bidding off items. Procurement – asking for great donations! Organizing and running the NEW Wine Grab and Dessert Dash! 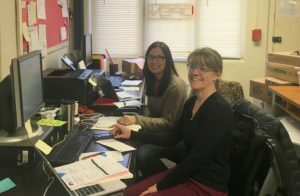 While “community” as a word is used often, here at King’s our volunteer community is truly amazing. 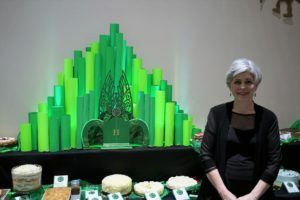 The 34th Annual King’s Auction, “There’s No Place Like King’s” would have never, ever been possible without each and every volunteer! Lisa Wiseman is new to our King’s community. She is mom to Zack in 6th grade and Nic in 10th. 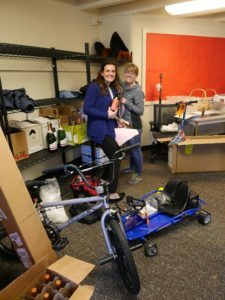 Co-chair Stephanie Roberts, who she knew from working on Coe Elementary’s (Queen Anne) auction together, recruited her to co-chair at King’s this year and she is so glad she did. “I loved working with her (Stephanie). Sally is awesome, too, and Suzanne, our banking co-chair, is fabulous! 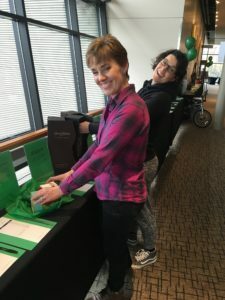 Every volunteer, staff person and parent helped make this year’s auction a success – the community here is the best!” Lisa has been in the “auction” business for 15+ years as a both a volunteer and paid consultant. Prior to that, she worked in marketing, advertising and public relations in various industries. She loves auctions and knowing that the money raised goes to great causes – especially kids!